Anti-Aging Treatments Gramercy: What is Fractora Acne Treatment? What is Fractora Acne Treatment? It’s the acne treatment no one is raving about and everyone should know about. For folks that have tried everything from Clearasil to experimental pharmaceutical drugs that you have to get blood work for every month, they’re probably tired of being pandered to about “the next biggest acne cure.” They’re probably as tired of more creams and pills being pushed at them as they are with the acne they experience on the day-to-day. Fortunately, modern science and little outside the box thinking is here to save the day and provide lasting results. Introducing Fractora Acne Treatments. Fractora is a game changer for folks who experience resilient mild to moderate acne and scarring. Technically, it’s a fractional radiofrequency microneedle that debuted on the markets in 2011. In other words, it’s a procedure that involves a pad of little needles puncturing the skin which then delivers little radio frequencies. Beneath that first layer of skin. That’s why Fractora’s acne treatment is different than regular microneedling, the radio frequency. That frequency being delivered beneath the skin sends little arcs of energy through and around your skin cells. It heats them up and coaxes them into releasing collagen and elastin at a much higher rate than is normal. It shrinks the skin’s oil glands in tandem, allowing your skin to start regulating how much oil it puts out, which is a major cause of acne. In other words, your skin is robbed of the ability to overproduce a major acne causing aspect. When Fractora first came out, it wasn’t initially marketed as an acne treatment. In fact, that’s a secondary aspect to the initial hypothesis that it would treat skin texture issues by tightening the skin with increased collagen production. It was only after Fractora got started that it was discovered that it was actually very effective at treating acne scarring as well as current acne outbreaks. The inclusion of the radio frequency makes this treatment far more effective than regular micro-needling simply because it speeds up collagen and elastin production by exponential proportions and provides nearly immediate satisfaction. If you’re hoping to get started on a Fractora acne treatment, put down the zit cream now. Get your skin off its steady diet of anti-aging and anti-acne because it’s simply too abrasive to pair with the Fractora treatment. While Fractora is hardly a majorly invasive procedure it’s still minorly invasive in that you’re making little cuts into your skin. Then, you’ll need to start taking Valtrex, or your off-brand cold sore medication. Any kind of trauma that is inflicted on your skin creates the opportunity for the virus to surface and add an additional painful sore to the healing process needed in the aftermath. After about for to six weeks, the collagen and elastin will start to kick in and the results are impressive. 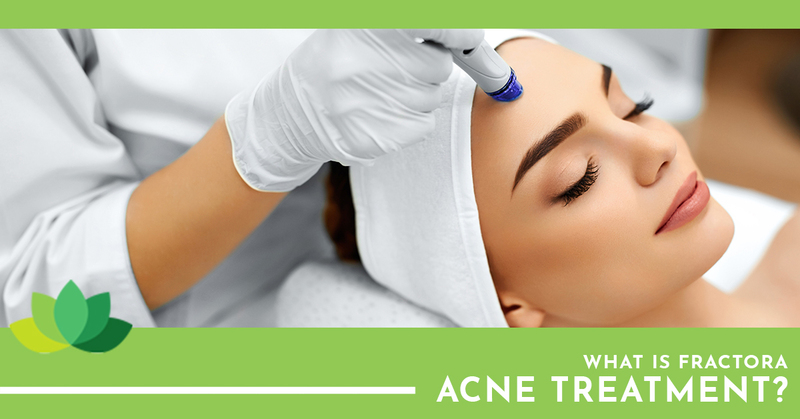 If you’re looking for a magic bullet acne solution, we can’t promise that as anything with acne is a terribly tenacious uphill battle. The good news? You’ve finished one of the hardest parts of starting a Fractora acne treatment, you’ve found a doctor in Gramercy who offers the procedure. Dr.Bronfman is ready to see you and change your life. Are you ready to sign up? Contact us now and schedule your initial consultation.